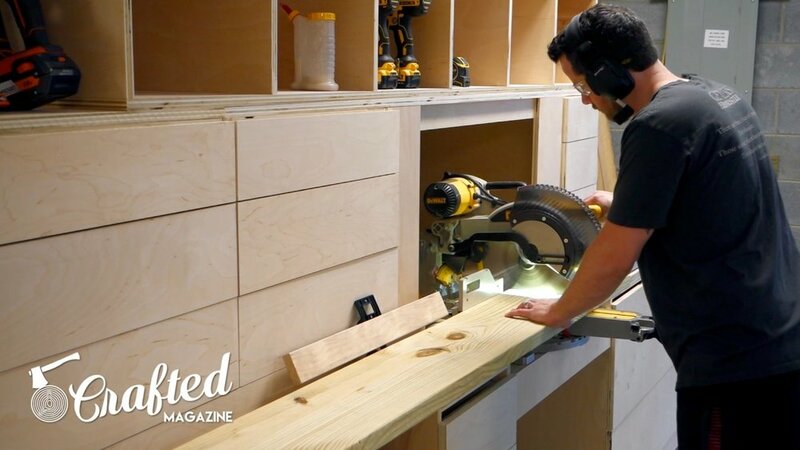 In this video, we’re building a simple modern outdoor bench inspired by Ana White. The only materials needed for this build are a few pressure treated 2x4s and 1x4s, screws, and glue. The tools required are also minimal, you really only need a saw and a drill. To see Ana's original plans, click here. Let's get on with the build! The links below are affiliate links that help to support Crafted Workshop. Thanks! The first step in the build was breaking down the 2x4s and 1x4s into their proper lengths. I used 2x10s rather than 2x4s on this build as they tend to be much straighter, but you can use 2x4s if you don’t have the capability of ripping 2x10s to width. I ripped them to width on the table saw, but you could also use a bandsaw or circular saw. My version of the bench is shorter than Ana’s plans, with my total length at 54” instead of the 72” called for the plan. Having a stop block system really made the breaking down of the lumber quick and easy. That said, I think I didn’t tighten down my stop block enough as some of the long pieces ended up being slightly longer. After cutting the pieces to size, assembly was very simple. 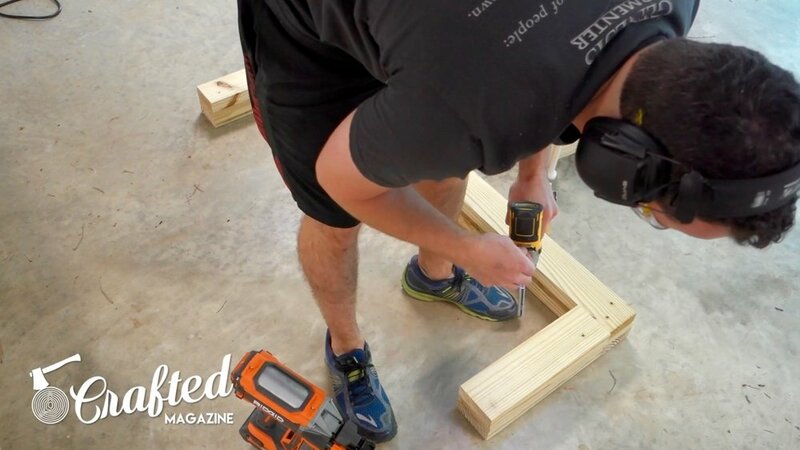 Lay the 54” long pieces of 2x4 perpendicular to the 14 ½” pieces of 2x4 on the ground and then glue and brad nail two 1x4 pieces on top of the 2x4s. Add some more glue and put the next layer of 2x4s on top of the previous layer, securing them with 2 ½” deck screws. Keep stacking like this until you run out of pieces. I used six total long pieces instead of the seven called for in the plan since my bench was shorter and I wanted to keep the weight down. Next, I rounded over the edges of the bench with a ⅛” roundover bit on a compact router. I then gave the bench a good sanding with 120 grit sandpaper and it was done. Since the wood is pressure treated, finishing isn’t needed and probably not recommended, as this wood is extremely wet. If you finished it, the piece would definitely crack the finish in no time. Off camera, I also chamfered the edges of the bench’s feet using a block plane. This helps to prevent tear out when sliding the bench around on concrete. I hope you enjoyed this simple modern outdoor bench build. 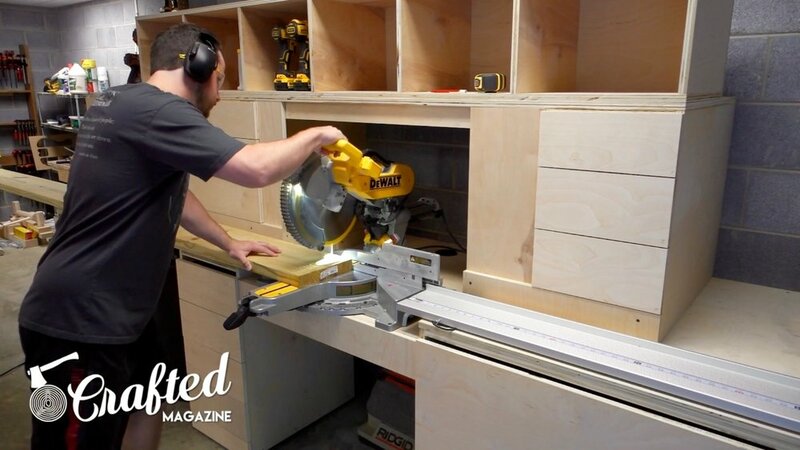 You could build this using only a circular saw, drill, and some sandpaper if you don’t have a large shop. It’s a very comfortable, sturdy bench that was inexpensive and easy to build. If you enjoyed this video, please consider subscribing to our YouTube channel, we put out new videos every week.